Casino ship operator and gaming resort investor Genting Hong Kong Ltd has reported a net loss attributable to shareholders of nearly US$210.9 million for 2018, a 13-percent narrowing on the US$242.3-million consolidated net loss registered in 2017. Genting Hong Kong, a subsidiary of Malaysian conglomerate Genting Bhd, reported its full-year results to the Hong Kong Stock Exchange after the markets closed on Thursday. 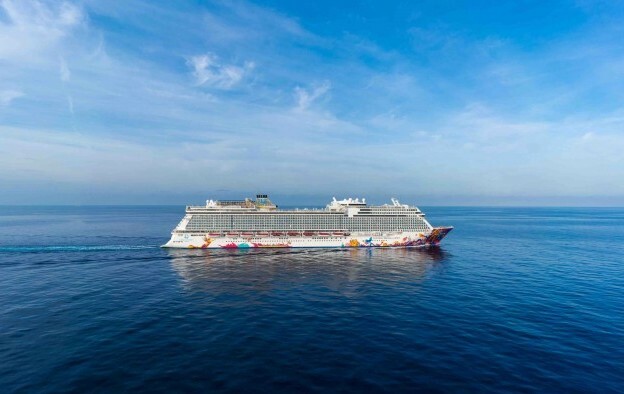 In 2018, the company recorded a one-time gain thanks to the disposal of its remaining stake in Norwegian Cruise Line Holdings Ltd.
Genting Hong Kong’s total revenue was US$1.6 billion last year compared with nearly US$1.2 billion in 2017, a 34-percent increase, thanks in part to having two of its newer ships each operating for more than a year out of Guangzhou in mainland China, and Hong Kong respectively. “With the full-year operation of two ships for Dream Cruises, we had a turnaround in the cruise segment with an EBITDA [earnings before interest, taxation, depreciation and amortisation] of US$152 million in 2018 from a loss of US$43 million in 2017,” said Genting Hong Kong chairman and chief executive Lim Kok Thay in prepared comments released with the financial results. In a separate filing on Thursday, the group said that Lim Keong Hui, aged 34, a son of the chairman, had been appointed deputy chief executive of Genting Hong Kong with effect from Thursday. The former banker had been an executive director of the firm since 2013, and retains that role. Genting Hong Kong’s parent, Genting Bhd, is a global gaming and hospitality conglomerate that has its roots in the Resorts World Genting complex in the countryside northeast of Malaysia’s capital, Kuala Lumpur. Genting Hong Kong controls the group’s three cruise line businesses, shipyards, the nightlife brand Zouk and has an equity interest in the operator of the Philippines casino complex Resorts World Manila. In its 2018 results filing, Genting Hong Kong confirmed that the greatest-single source of the company’s revenue for the period was its cruise-liner and related activities, generating US$1.35 billion last year, compared to US$1.02 billion a year earlier, a 33-percent increase. The company said occupancy on board its liners improved to 91 percent last year, from 77 percent in 2017. Genting Hong Kong has accelerated its expansion plans for its cruise business and has developed a three-brand cruise portfolio with focus on different market segments: Crystal Cruises for what it terms the ultra-luxury segment; Dream Cruises for what it describes as the premium segment; and Star Cruises for what it defines as the contemporary segment. Gaming operations on the eight-ship fleet fall under the Resorts World at Sea brand and include table games and slot machines. The company did not offer specific details about gaming revenue from cruise operations in Thursday’s results. For the second half of last year, the company reported a consolidated net loss of US$72.0 million, compared to the consolidated net loss of US$41.1 million in the prior-year period. Revenue was US$822.5 million in the second half of 2018, a 25-percent increase compared to the US$657.9 million revenue in the same period of 2017. Meanwhile Philippine casino operator Travellers International Hotel Group Inc, in which Genting Hong Kong has an equity interest, reported a PHP1.4-billion (US$26.6 million) net profit for the year ending December 31. Travellers International runs Resorts World Manila, a casino resort located opposite Manila’s main international airport, the Ninoy Aquino International Airport. Philippine Stock Exchange-listed Travellers International reported on Friday that gaming revenue was PHP20.0 billion last year, up by 17 percent from PHP17.1 billion in 2017. Gaming capacity at Resorts World Manila increased to 299 tables and 1,822 slot machines as of December 31, up from 244 tables and 1,381 slot machines one year earlier. Travellers International said casino drop for the year ended December 31 improved by about 37 percent compared to 2017. Travellers International, a venture between Philippine conglomerate Alliance Global Group Inc and Genting Hong Kong, has plans to develop a second casino resort in Manila, to be called Westside City Resorts World.